Operas are dramatic theatrical works incorporating an intricate collaboration of acting, singing, and orchestrated music. An opera actress giving a vocal solo backed by an orchestra. Opera is a mix of music, singing, drama, costumes, and poetry combined into a coordinated theatrical performance. It is based on a libretto, which serves as the script of the opera. The libretto may be an original work or based on a famous play or novel. Performers sing the text. This art form incorporates 2 types of singing, recitative and arias. Recitative singing is meant to imitate spoken word, while arias are meant to sound more similar to traditional, melodic singing. Women’s voice pitches include soprano, mezzo-soprano, and contralto. Men sing in either tenor, baritone, or bass. Throughout the opera, performers also sing duets and trios. The chorus is used to narrate the actions on stage. These performances are generally accompanied by an orchestra and held in an opera house. The origins of opera can be traced back to 16th Century Italy. The first recorded use of the term “opera” was in 1639 although the first opera composition was written in 1597. This first opera, entitled “Dafne”, was created with the hope of reviving classical Greek drama as part of the broader Renaissance movement. Opera spread throughout Europe over the next century, becoming a popular theater attraction. As opera grew more popular over the years, its composers began to develop different genres. Opera seria, a serious style, emerged as the most common genre until the end of the 1700’s. This seriousness gave way to a comedic genre with opera buffa. By the mid-1700’s, some composers were calling for a simpler style of opera, a challenge undertaken by Christoph Gluck. His compositions are known as reform opera and highlight simplicity. In the early 19th Century, bel canto opera became popular. This genre is characterized by complex libretto lines and beautiful singing and pitch control. While these changes were occurring in Italy, opera had already spread into other European countries. It was introduced to Germany in 1627 and most early composers chose to maintain the traditional Italian language in the performances. France also adopted this art and gave it a distinctly French style in its earlier stages, rather than borrowing from Italian opera. As time passed, however, Italian influences were reflected in French opera as well. Around the same time, opera was embraced in England, where ballad operas were most popular, and in Russia, where the operas were largely written in Italian. Professional opera singers began to emerge during the mid-1600’s as a result of popular interest in the art. Since then, some very notable singers have left their marks on opera history. Some of the most famous founding singers include Faustina Bordoni, Joseph Legros, and Senesino. In more modern times, singers such as Luciano Pavarotti, Maria Callas, Andrea Bocelli, and Joan Sutherland have become widely known for their amazing voices. 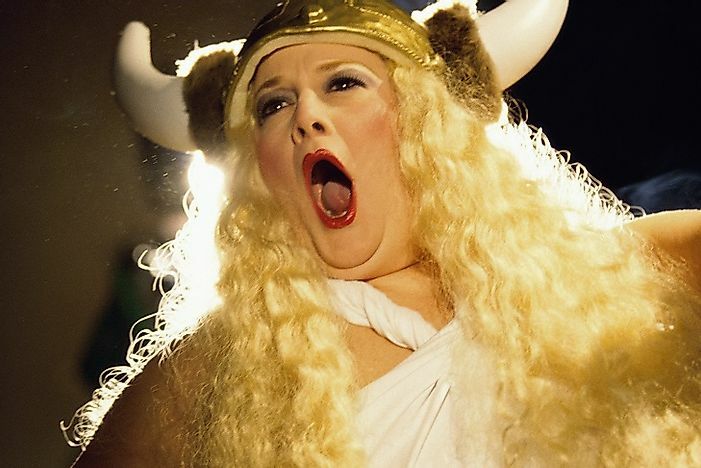 Today, opera remains an important expression of musical and dramatic artistry. Similar to other great art forms, it provides its audience with both entertainment and the ability to self-reflect. Opera continues to offer a unique take on storytelling that helps its audience view the world through a different lens. It is so important to society that cities throughout the world hold opera festivals to celebrate the performance. Additionally, opera houses now provide live video feeds of performances to distant movie theaters. The internet has also changed the way opera is enjoyed, giving fans the opportunity to live stream and download opera performances at home. When And How Did Segregation End In The US?